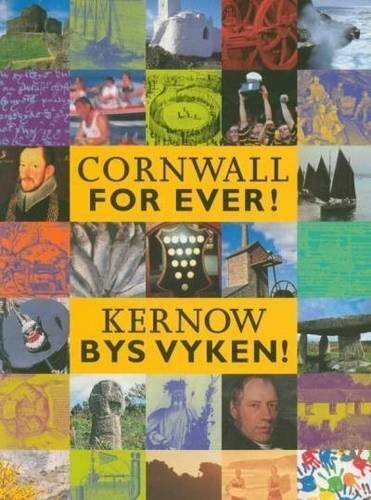 Plough Monday | Cornwall For Ever! At one time, Plough Monday was a popular celebration all over Britain. Held on the first day after Epiphany (6th of January), it marked the end of the Christmas break for those working on farms and the start of the farming year. In some parts of the country it was usual for farm workers to dress up and drag a plough around their communities. This plough was sometimes highly decorated with colourful ribbons. In Cornwall and the Isles of Scilly, Plough Monday was a popular time for the Cornish tradition of guise dancing. For traditional guise dancing, people dressed up in disguise, with masks or veils covering their faces. These dancers would then go from house to house and often to the local pub, to entertain the locals with music, dance and drama. In some places, a specially produced play would be performed, often based on stories like “St George and the Turkish Knight” or traditional Cornish tales like Duffy and Devil. Guise dancers usually disguised their voices to make sure that people could not guess who they were. In fact, if the identity of a guise dancer was discovered it was thought to be very bad luck. Some people found the guise dancers frightening and would hide from them, while others let them into their homes and treated them with a drink and cake. One of the strangest customs associated with guise dancers is turning the furniture in people’s homes upside down. You can still see guise dancing in Cornwall, especially in Padstow, St Ives and Penzance.